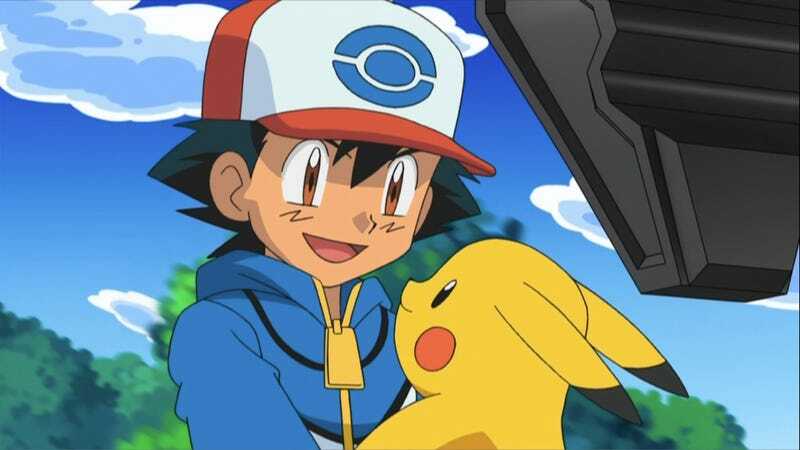 Since the late 1990s, Ash Ketchum has been training Pocket Monsters. And with a decade plus under his belt (sixteen years, actually), you'd think he'd be pretty good. You'd be wrong. In Pokémon League play, in which trainers have their Pocket Monsters battle, it always seems like he's losing. Well, that's because he is. And that's part of the appeal. On this week's episode of anime Pokémon: Best Wishes!, a teaser for next's week program shows Ash's Pokémon, Pikachu, once again losing. This time, it's to Lucario in the Unova Pokémon League. The subtitle says that Pikachu was "knocked out" and "Lucario wins!" So that probably puts Ash's record in Pokémon league play somewhere between awful and terrible. But there's an important reason for Ash Ketchum's losing streak: Who wants to watch someone win all the time? It would get boring. What's more, while the Pokémon anime does have its share of fans, its target audience is Japanese children. That means there is a steady flow of new viewers as children get old enough to watch the long running show. Thus, the show's producers need to keep the characters somewhat static. Yes, Ash Ketchum loses. A lot. If his league record is anything to go by, he's not a very good trainer. But he is an underdog. And who doesn't like an underdog? Jerks, that's who.